Domicilium deliver a variety of next generation network services across Europe, Asia and the Americas to our international customer base. Domicilium’s network infrastructure has been designed from the ground up to support risk averse organisations who require stringent service level guarantees. Our infrastructure is designed, implemented and supported by our in-house specialists and we are committed to a sustained development programme ensuring that our network continues to support the most advanced e-business operators while delivering our service quality guarantees. 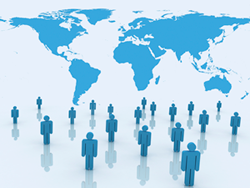 Domicilium are recognised experts in the provision of carrier diverse networking to offshore jurisdictions. Our network infrastructure interconnects the Isle of Man to major worldwide Internet Exchange Points (IXPs) in a diverse and resilient manner. Our network solutions can be tailored to the requirements of the client bringing real choice to the marketplace. Our available service offerings include point-to-point and point-to-multipoint MPLS connectivity to any location worldwide, tier-1 transit bandwidth services, high-end DDoS protection and a range of resilience options designed to meet risk profile and budget. Whether your primary driver is resilience, cost or both Domicilium is the logical starting point.